Rome Colosseum is open daily from 8.30 to 19.00. Early morning to avoid crowds. We are comparing Colosseum Express Guided Tour Prices from leading ticket suppliers and Try to find you Cheap tickets prices on the market. You've probably heard some of the legends of the Rome's grand Colosseum, and which attraction which draws thousands of visitors from all over the globe every year each year. Without a doubt the Express Colosseum tour is one of the top things to do in Rome. During this comprehensive 60-minute tour, you'll get the chance to visit the famous arena where these brutal games actually took place. You'll meet your guide at the Colosseums entrance and after a brief introduction to the history of the Roman empire, you'll be shown to the Arena where Gladiators wild animals battled for their lives while bloodthirsty spectators watched from the stalls. Fortunately these gory competitions were abolished hundreds of years ago, but your expert historian guide will try to recreate the atmosphere for you. This compact 60 to 90-minute tour is perfect for those would like to learn about the Colosseum without spending hours delving into the murky realms of Roman history. The tour will finish inside the Colosseum but there's no need to rush off, you'll be free to stay and explore the ancient site at your own pace. This is great for visitors who only have a short time Rome, or for families visiting with young children. This is a compact tour that skips the entry line so you don't waste your vacation waiting in queues. Your Experience With Colosseum Express Guided Tour? Avoid the crowds and skip the line to Italy's most famous attraction, Rome Colosseum. Take an express tour the ancient site with a qualified local guide. Skip the lengthy entrance queues and make the most of your precious vacation time. Visit the Arena, the 1st tier and the ruin of the Roman Forum (if specified). Learn about the Roman Empire, catch the gladiator's tales of glory, and hear about the powerful emperors who commanded the Colosseum's games. What Colosseum Express Guided Tour Includes? Fast track entrance to the Colosseum. 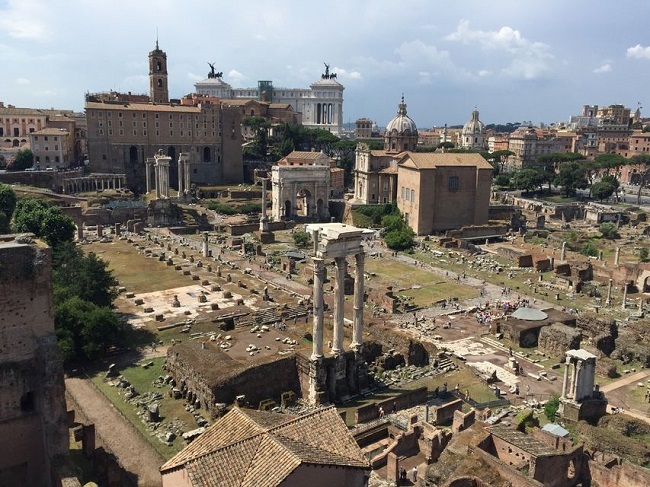 1-hour small group guided tour of the Colosseum and Roman Forum. If you would like more time to explore the Colosseum after the tour had finished then we recommend booking the earliest tour. This is also a good idea if you prefer to avoid the crowds during peak season. Travelers Reviews about Colosseum Express Guided Tour? The Colosseum is one of the best attractions in Rome and travellers have said that this tour provides a good insight into the site's history. Travellers say that they like that the tour ends inside the Colosseum giving then time to explore independently. The Colosseum express tour has earned a 4.5 to 4.9 out of 5-star rating on TripAdvisor, Viator, and Get Your Guide. Tickets may be refunded up to 24 hours prior to departure, this depends on suppliers' policy, a cancellation fee may apply. The Colosseum Express Tour is available in English, German and Spanish every day at 10 am, 11 am and 12 am. Additional English tours are run on specific days at 9 am or 1 pm. Children under 7 may not be accepted, all children must be accompanied by an adult. Minimum and maximum group size apply.